Either you have dry, normal or oily skin, there are all kinds of moisturizers available in market. Moisturizer can help you protect your skin by premature aging, it helps in sealing moisturizer you’ve already in your skin so that your skin can produce more moisturizer. MOISTURIZER FOR DRY SKIN: The moisturizer that contains alpha hydroxyl acids produces more moisturizer on its own. You can use it for dry to normal skin, apply moisturizer and a latest technology called vesicular emulsion. By using this technology you get continual moisturizer throughout the day. As this technology is using microscopic spheres that swaps water and moisturized layers. 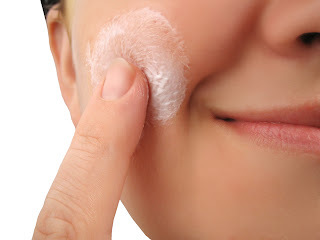 MOISTURIZER FOR OILY SKIN: If you have oily skin, choose light and gentle moisturizer. Some of people think that oils have moisturizer; they should correct their information source. If you apply oil on your face you’ll still need moisturizer. Ignoring the effects of sunrays on your skin may cause wrinkles, spider veins, age spots and more freckles on your skin. Ultraviolet rays make skin look rough slack and loose. To prevent your skin from sunrays you should use a sun block or sunscreen lotion on your skin before going out. Experts mostly recommend sunscreen lotion of SPF15 or higher. If you’ve to go outside for more than one or two hours take your sun block with you and apply it even after one and half hour. Use translucent mineral powder for touch up as it contains natural sunscreen. Forget about using soaps if you want a soft and smooth skin. Choose always most gentle cleanser and apply it gently. Avoid washing your face too many times in a day as it harsh your skin and damages your natural lipids barrier, the protective mantle of lubrication makes your skin look soft, smooth and healthy. Lack of this mantle may make your skin dry. Just wash your face twice in a day with a rich and gently with a rich cleanser. To get desired charming look you should go for best quality beauty products that have high-quality material in it. Not only beauty products make you look beautiful but also you should concentrate on the tools you use including makeup brush and puffy sponges. The tip for choosing right brush is that takes a brush and dips it into a shadow or blushes and applies it on your skin. If the shadow or blush falls away from brush before applying it on face, you’re using a bad quality brush. Don’t use makeup or hair that you’ve from past two or more years. It can damage your skin badly first inside and then upper surface of your skin. When you make shopping ask the storekeeper to show you very new makeup range. Most of the cosmetics shops update their makeup frequently or even after two years. This post is filled with information for skincare. Thanks for sharing your knowledge with us.